Former Uber CEO Travis Kalanick is down, but he somehow does not yet consider himself out, according to a Sunday report in the New York Times. Kalanick, who resigned in June amid widespread reports he let a culture of sexual harassment run rampant at the company and lawsuits by angry drivers, has apparently injected himself into the search for his replacement—and may have already scared off a potential replacement, Hewlett Packard Enterprise CEO Meg Whitman. 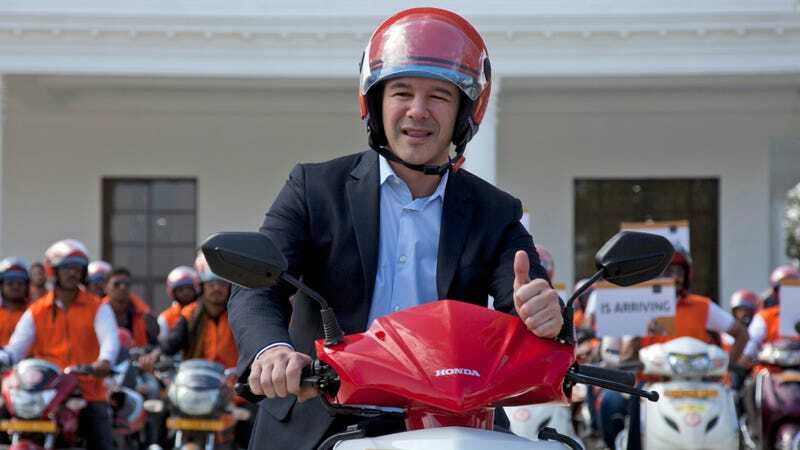 He and several of his allies had a competing agenda that included their own preferred candidates for the top job and the possibility of returning Mr. Kalanick into an operational role, perhaps even as chief executive. His surrogates had also recently begun talks with the Japanese conglomerate SoftBank about an investment in Uber that could provide Mr. Kalanick a route to regaining power. Whitman broke off talks to bring her on board on July 27, though four candidates remain top contenders. The Times added striking an alliance with Softbank could earn Kalanick a powerful ally in that company’s chief, Masayoshi Son, who may be looking to appoint new board members who want Kalanick back. Uber has been trying to turn over a new leaf in the wake of Kalanick’s tenure with a “180 Days of Change” campaign, introducing a number of public relations-friendly features designed to appeal to the company’s beleaguered drivers. Returning Kalanick to power would likely undercut those efforts dramatically. While the 1,000 Uber employees who signed a petition asking for their terrible boss back might be excited by this news, probably no one else is.